Any excuse to make one’s personal life look more attractive than skid row alcoholics or drug addicts. I know because I lived on the skids and was homeless. It may be a good “justification” in not admitting to be an alcoholic or drug addict. Remember alcoholics and drug addicts are masters in making up excuses and lies to save themselves from jail time, the loss of a wife, husband, spouse, or being fired from their job. It is rehabilitation centres like this that are trying to find a softer, easier way to make one’s life more tolerable instead of looking at the root causes for being an alcoholic or drug addict. My childhood could be the same as other adults had while growing up, but my childhood saw an extreme amount of physical violence, sexual assaults, abandonment by parents and a lack of trust towards the education system and the religious organizations within my community. I told myself that I do not want to be like those who surrounded me as a child (parents, uncles, grandparents, friends of the family, brothers, sisters) when they were getting drunk or stoned on a daily basis. Alcohol in my household or my neighbour’s household was easily available as drinking water and learning to drink or consume beer, liquor or drugs at an adolescent age was normal. As a child, I grew up thinking I was an adult when I started drinking alcoholic beverages or smoking drugs. When I was old enough to start schooling, I was teased, bullied and beat up on a daily basis because of how I spoke and looked. When I became old enough to stand up for myself, I fought. I fought like my father, brothers and or friends of the family fought, and that was to make sure that I beat the person up before I got beaten up. In other words, I fought until I saw blood coming from the other person, and I knew then that I would not get beaten up. I grew up in an environment of physical trauma such as physical fights, physical beatings, sexual assaults, parents leaving their children. With these sorts of physical traumas came emotional traumas. And it is these physical and emotional traumas that I had to deal with when I entered the rehabilitation program. This rehabilitation program was mainly funded by private donations and the Anglican Church of Canada. This rehabilitation program was operated mainly by street people, alcoholics and drug addicts with the help of trained psychologists and psychiatrists. There were times that the Anglican church ministry would help the counsellors in learning how to deal with personal traumatic issues from childhood to adult life experience on a day-to-day basis. Once again, it is my understanding that organizers made this statement: “Most of Isuarsivik’s clients are misusing alcohol, but they’re not alcoholics.” This is giving the clients of the centre false hope. The clients are not the ones in charge of the rehabilitation centre, but they are the ones telling the counsellors and or directors that they are misusing alcohol. One must ask if Isuarsivik’s rehabilitation centre counsellors, board of directors or executive directors are in charge of this rehabilitation program, or are the clients? The Inuit clients who enter the Isuarsivik centre any or any rehabilitation center within Canada must understand that these rehabilitation programs are run by those who have the knowledge of being a drug addict or alcoholic or who have the necessary diplomas, such as being a psychiatrist or psychotherapist. As I read this article, I believe those on the board of directors and the project organizers are trying to find a softer, easier way for the Inuit because they believe the Inuit who enter this rehabilitation program are much too sensitive emotionally and spiritually to dig deep within themselves to really want their sobriety. Over the years, being an Inuk, and belonging to sobriety programs, many Inuit have told me that the program that I belong to is much too hard for them. They are personally ashamed of themselves for admitting to themselves and other people that they are alcoholics and always will be an alcoholic or drug addict until the day they die. The Inuit culture and tradition in the past was to help each member of the community to become one within the community. The Inuit culture and tradition today, as I see it, is give me more alcohol and drugs. Let’s get drunk and stoned. Let’s break the Canadian law. Let’s go to jail. I have seen case-load after case-load of the same people facing the criminal judge for the abuse of alcohol. As per the first comment I made, “Nunavik has an epidemic of alcoholism and drug addiction.” This is a fact. All one has to do is call their local police station and ask the officers what the criminal rate is for people charged with alcohol-related violence. All one has to do is call their local nursing station and ask the nurses what causes the most visits to the nursing station, to be told it’s spousal abuse and child abuse while being intoxicated. The Kativik Regional Government knows there is a dependency. The Nunavik Regional Health Social Services Board knows there is a dependency, but they do not want to spend that sort of money, probably millions of dollars, in helping the Inuit of Quebec. The Inuit of Canada are resilient people. The Inuit are a strong people. The Inuit are patient people. For thousands of years they, the Inuit depended on themselves in being a healthy community. 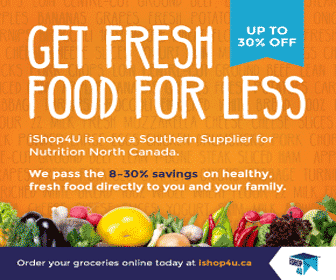 For thousands of years they, the Inuit, depended on the land in being a healthy community. Today, most Inuit depend on beer, wine, liquor or home brew to function. 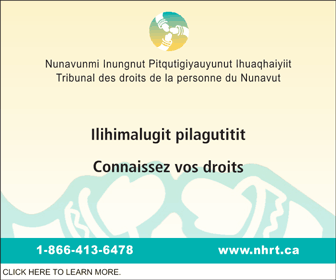 Today, most Inuit depend on any or all types of illegal drugs to function. 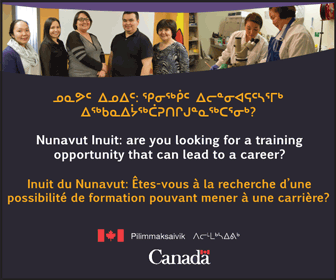 It is up to those in charge of the Nunavik Inuit—Makivik Corp., Kativik Regional Government and Nunavik Regional Health Board and Social Services, Kativik School Board, the federal government, the Quebec government, Inuit Tapiriit Kanatami—to take a stand and begin to help their fellow men, women and children to start spending the necessary money. My sobriety date is July 1, 1985.